I read a steady stream of contemporary YA. You name the author, I’ve probably read at least two of their books. I devour them like I’m starving. What can I say? I’m a romantic. My head is in the clouds 90% of the time. I live in dreams. And for years, those books were enough to fuel those dreams. But I wanted more. Where were the stories of black or biracial girls simply finding their way in the world? Navigating homework and parents and best friends and school? Being loved? Applying to college? Stories about girls whose problems weren’t tied to Black Pain, or civil rights, or slavery? More importantly, where were the ones written by black or biracial authors? Finding them was quite the challenge. And once I did find the few out there, I loved them so much I became even hungrier for more. When the Stars Lead to You knocked around in my brain for years. It took me ages to figure out what Devon’s story was going to look like (although I had a good idea of what she looked like). Here is what I did know: she was going to be biracial, and she was going to fall in love. Devon is between worlds on many levels. She is biracial—caught between being Black and white. She navigates microaggressions while trying to stay true to who she really is…while figuring out who she is. She’s a middle class scholarship student attending a posh private school. She’s not poor, but she worries about getting into, and affording, her dream college. She’s an aspiring astrophysicist—scientific and logical…but she’s also an incurable romantic. 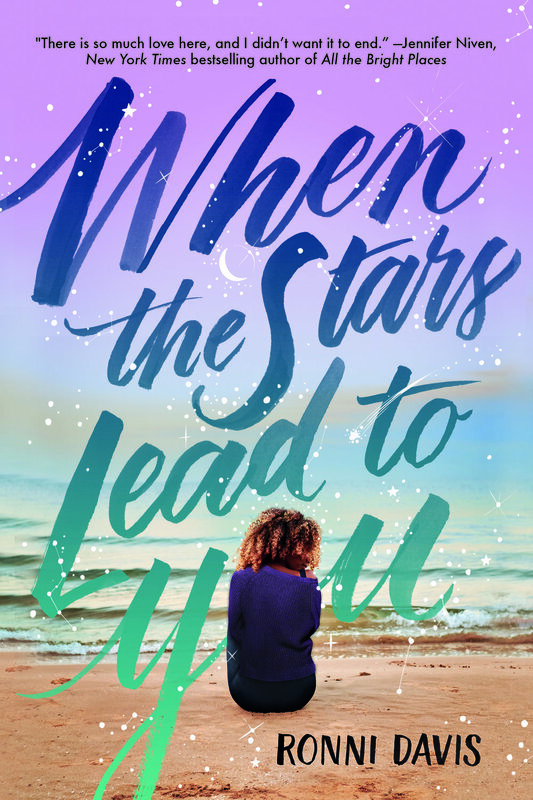 So when the boy she loved, the one who broke her heart at the end of the best summer ever, comes back into her life, she’s faced with some hard choices regarding him and her future. What happens when her logical side and romantic side clash? What happens when you love someone so completely that it starts to eclipse everything else in your life? When you start to lose sense of who you are? When does love stop being healthy and balanced, and when does it become toxic? I wanted to explore that in my book because some of us romantics might find it easy to put everything aside to chase that happily ever after. But when does it go too far? Ultimately, Devon has to decide where the stars will lead her. I hope you’ll join her on her journey. When Ashton breaks Devon's heart at the end of the most romantic and magical summer ever, she thinks her heart will never heal again. But over the course of following year, Devon finds herself slowly putting the broken pieces back together. Now it's senior year, and she's determined to enjoy every moment of it, as she prepares for a future studying galaxies. That is, until Ashton shows up on the first day of school.